Interested in learning more about how cats can benefit from full plant hemp oil extract? Then come on out to CatCon 2018 (Aug 4-5) at the Pasadena Convention Center: 300 E. Green Street, Pasadena, CA 91101. Treatibles’ Jodi Ziskin will be a featured panelist at the seminar: Cannabis and Cats: What You Need to Know Meow. She joins Dr. Gary Richter, Dr. Tim Shu and Charles Lozow for this important talk, sponsored by MERRY JANE media. Certified Pet Nutrition Consultant with more than 10 years experience empowering pet guardians with information on nutrition, enrichment, environment and care for their cats and dogs. The Seminar takes place on Sunday, August 5 at 1:45pm and is FREE with a one day admission ticket ($35.00) or two day admission ticket ($60.00). 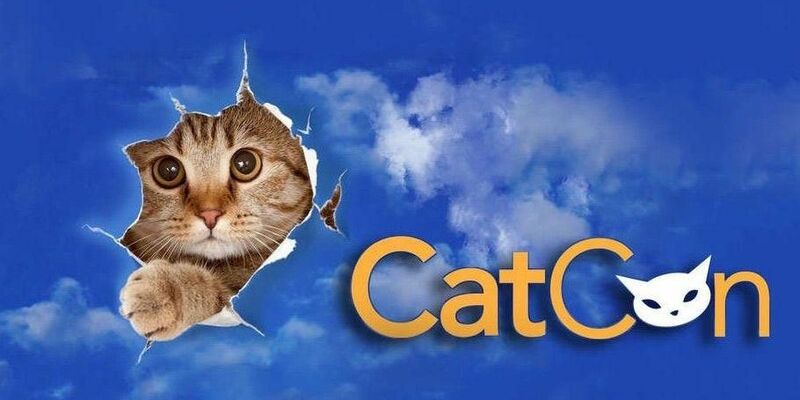 To Purchase Tickets, visit CatConworldwide.com. CatCon is the biggest cat-centric, pop culture event in the world dedicated to all things feline, with a community of cat lovers that spans the globe. Part expo, part symposium, CatCon engages, educates and entertains thousands of fans, featuring the latest in groundbreaking products and ideas for cats and their people. To date, the two-day immersive experience has seen nearly 45,000 attendees, helped 327 cats find their forever home, and donated over $143K to cat welfare organizations. The event has been featured in over 500 outlets around the world, including The New York Times, BuzzFeed, Reuters, Vanity Fair, and Glamour.